In this series of posts about an uncooperative African penguin, she retells one particular experience while conducting field research of wild penguins. Catch up on the story so far with Part 1, Part 2 and Part 3. Saturday, February 28, 2009: We drive to Guano Bay at the usual time. The early mornings are starting to take their toll on us and we are feeling tired and despondent. Again the wind is pretty strong and we are reluctant to paddle. We’ve brought the telescope along and start scanning again. Suddenly we see her. No doubt, it’s her. The logger is still on her back and she is standing with her chicks. Strangely enough, the wind has calmed down a bit (or is it just our imagination? ), so without hesitation we climb into our wetsuits, jump on our paddle-skis and paddle as fast as we can. We arrive at colony 2...our penguin is gone! We check the beach, hoping that she is still socializing with the beach crowd, but no, she has already left to sea. We return home, disappointed but hopeful. At least we know that she is alive and well, that she has obviously not abandoned her chicks and that she is still carrying our logger. Phew! Sunday, March 1, 2009: We cunningly revise our strategy and opt for a pre-dawn raid; clearly our penguin is a very early riser. As we leave town at 5:30 am, we get enveloped in thick fog. So thick that it is hard to even guess where the road is heading, although we know the route by heart. We arrive at Guano Bay in foggy darkness. Daylight somehow never comes. We can’t see a thing from where we are parked. Not the shore, not the sea and certainly not the island. Way too dangerous to attempt a crossing. We patiently wait for the fog to lift, even just a little bit, but it doesn’t. It just sits there. An hour later we give up. No point in waiting; our penguin would have left the colony by now. 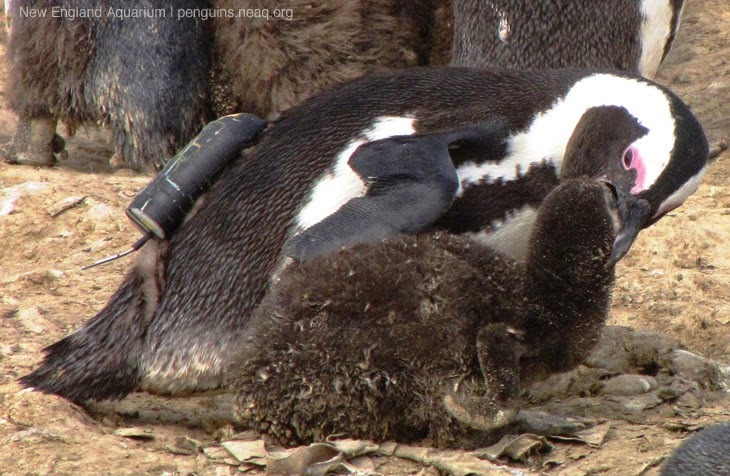 Click through to Part 5 for a resolution to this quest to retrieve a scientific GPS logger from this uncooperative African penguin!